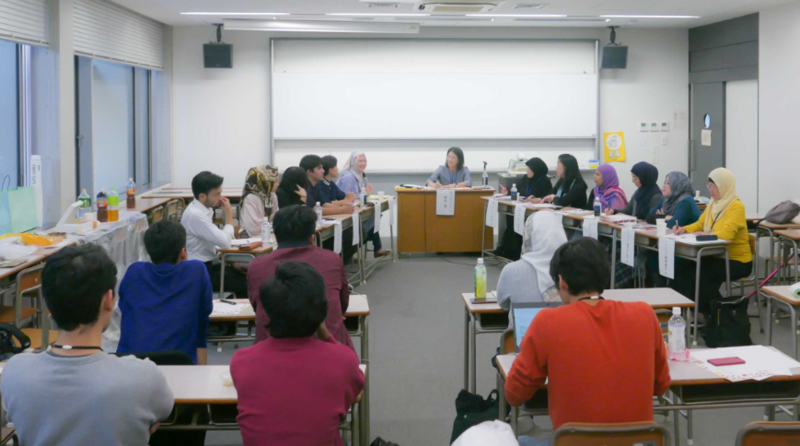 We have participated in the 5th National Muslim Meeting at Keio University. Details of the meeting is as below. In the first session, parents with experience of raising a child presented on “How they taught their child/children about God”. 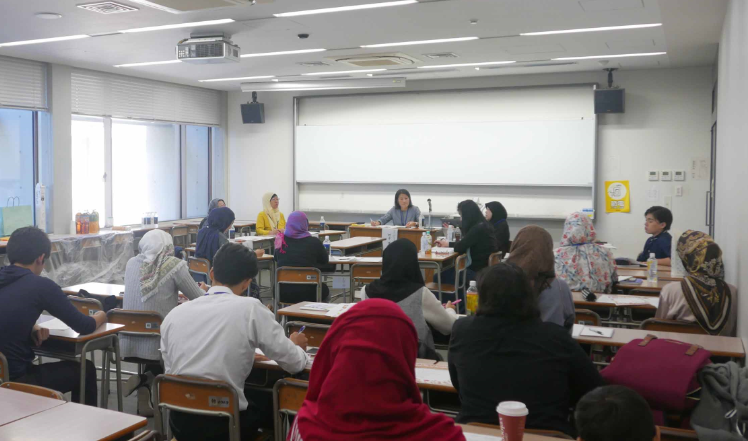 2 mothers from Masjid Nagoya participated as presenters, and they shared positive examples such as that of a household where Islam was taught without denying a Japanese way of thinking. Some examples of children distancing themselves from Islam as a result of forceful attitudes of parents was also shared. What was echoed by all presenters was the fact that maintaining a healthy relationship between the parent and the child leads to favorable outcomes. Second-generation Muslims presented on “How they were taught about God” in the second session. It became evident that children who were taught about God (how he/she exists due to the will of God, how God is All-Seeing, etc.) 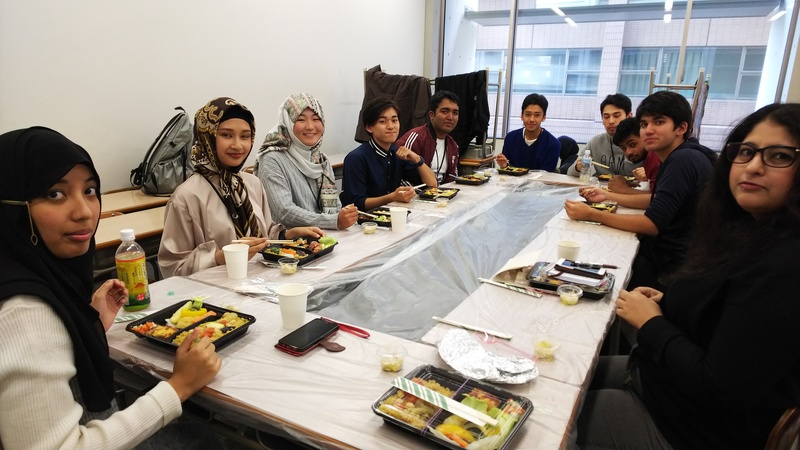 from a young age in their day to day lives, happened to maintain their Muslim identity without strong hesitance even when living in Japan. 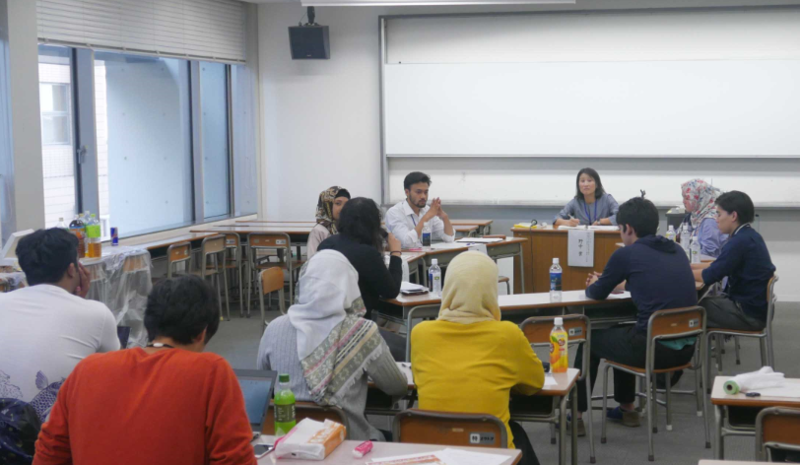 On the other hand, several experiences were shared by those who say they developed a negative attitude towards Islam due to merely being forced to abide by strict regulations. We realized again that such forceful attitudes by parents are causing children to suffer. In the third session, every person in the room including observers joined in the discussion. This became an opportunity to deeply understand the importance of not expecting flowers to bloom as soon as its seeds are sown, but rather to have a patient attitude of continually watering it. We learnt also the necessity of parents to continuously express their love to children, even when they are not in a state we might want them to be in. Summary of the discussion is as mentioned below. We will notify when translations of it in English and other languages are made, in hopes that it be beneficial for everyone when nurturing their children. *Reports regarding past National Muslim Meetings can be seen here.